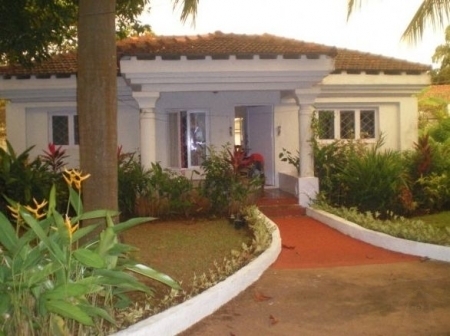 Some photos of the villa for rent in Cavelossim South Goa. This is Goa s five star coastal belt. 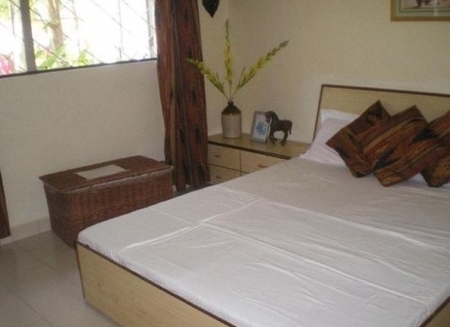 The villa is located in a peaceful, gated, resort complex which touches the River Sal. 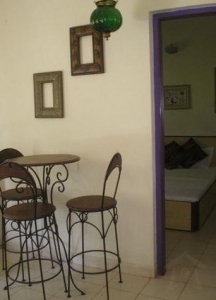 It is across the street from the Cavelossim beach. It has three shared swimming pools operational in season. The villa which houses four or five people has 2 airconditioned bedrooms(ensuite baths one with shower and one with bathtub). There is a living room with open style kitchen and a pool facing patio. 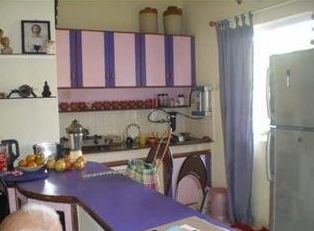 There is cable tv, a fridge, cooking facilities and daily housekeeping. Linen is changed twice a week and laundry service is available at a nominal charges. The area is animated with restaurants and hotels and seasonal shacks on the beach. Watersports are available both on the river and the beach. There are boatcruises night clubs spas meditation and ayuerveda massage outlets. The five star hotels have computerised casinos. Scooters or cycles are available for rent. Dentists of international standing practise here both surgical and aesthetic and opthalmic consultation and eyeglasses are available. Reputed jewellers display stones and precious metals in european and indian settings. 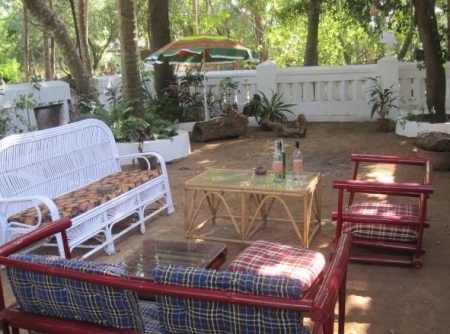 Goa has elephant bathing trips, dolphin cruises, nightlife, huts on the beach to spend the day in, nght markets, waterfalls jungles and old portuguese houses to visit.